SHERWOOD PANDA FLOWERS prides itself on being the best FULL SERVICE FLORIST, combining a unique selection of top-quality fresh flowers with floral expertise, as well as artistic and creative design experience...... AT FANTASTIC PRICES! 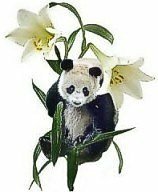 SHERWOOD PANDA FLOWERS has a store conveniently located at #200 – 550 Baseline Rd., Sherwood Park, AB. Our friendly staff is ready to assist you with placing orders for local delivery or anywhere in the world. Not sure what to send? Let us offer some creative suggestions! Wedding Flowers ~ Whether formal or casual, a small get-together or the foremost, social gathering of the year ~ Any special event is sure to be a “blooming” success with SHERWOOD PANDA FLOWERS designing the floral bouquets and decor. Once the date is set, call (780) 416-1717 and schedule an appointment for a wedding or event consultation. All Occasion Gifts ~ Find wonderful gifts for all ages and all occasions! Browse our assortment of dish gardens and other green and blooming plant selections for a gift that brings life to any room or office. We also carry lots of additional gifts, fresh fruit baskets, gourmet baskets, balloon bouquets, cuddly plush toys, baby gifts, greeting cards, custom silk floral arrangements, scented candles, statues, and much more! We deliver the freshest flowers and brightest smiles! We also provide delivery service to all local hospitals and funeral homes for your convenience.